Please contact the owner @ 970-541-8408 or cal20dennis@yahoo.com.. 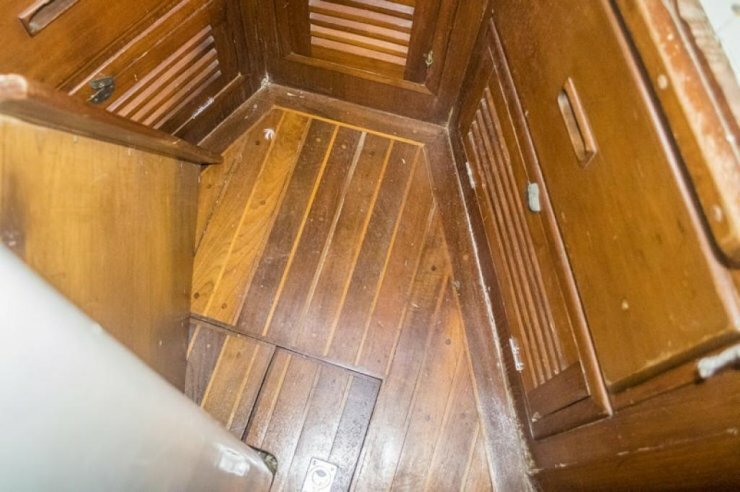 Owner has a full webs site dedicated to the boat. 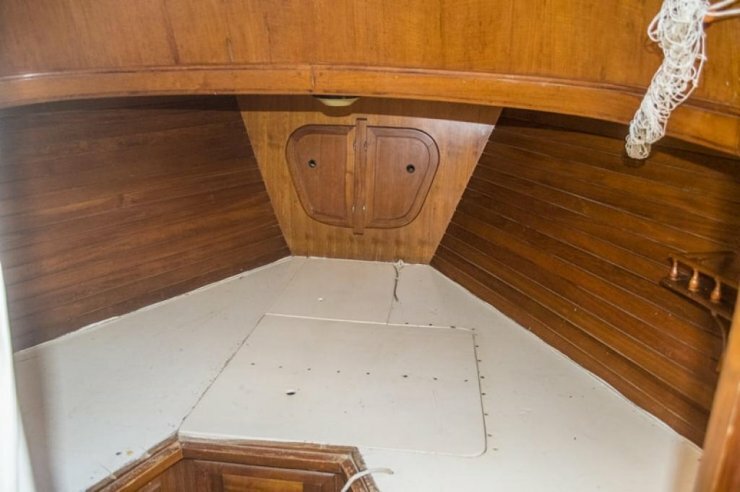 Roomy salon and cockpit: 36 foot on deck with 4 foot bowsprit, 1110 beam with Sitka Spruce mainmast (rebuilt with West System epoxy) and (Ballenger Spars)aluminum mizzenmast. Both booms are original Sitka spruce in very good condition. Northstar autopilot (with gyrocompass) and Octopus hydraulic ram drive, monitor windvane. cast stainless steel opening ports. Equipment:	New condition sails include storm jib, and storm trisail. 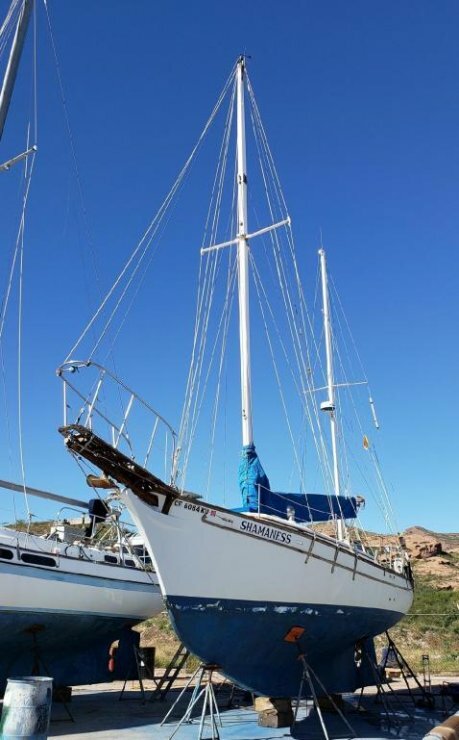 The high-cut yankee jib, staysail, full-batten mainsail were recently built by Pineapple Sails in Alameda, California and are in very good condition. 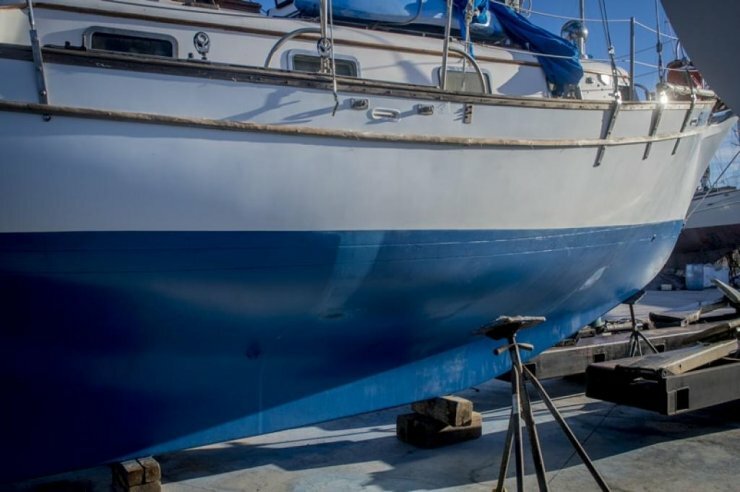 The full-batten mizzensail has been used sparingly and is also in very good condition. 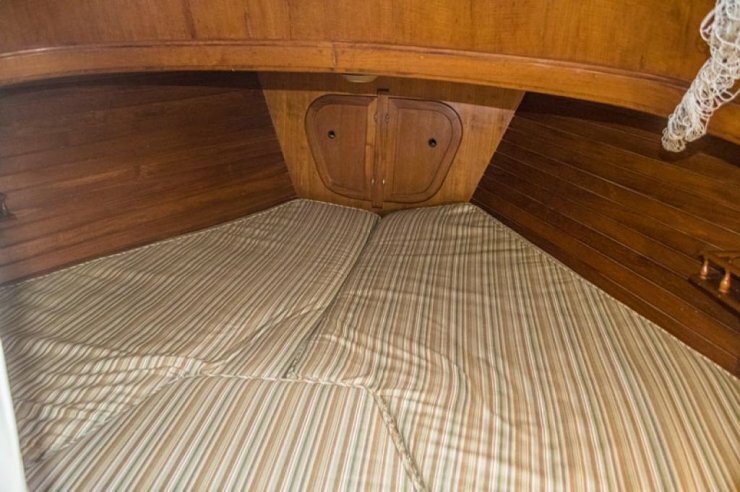 The mizzen staysail, cruising spinnaker and genoa are older but are serviceable. The 3JH3 Yanmar 40 h.p. diesel engine has 5,000 hours running time and is in very good condition (well-maintained/ never overheated/ never rebuilt). The transmission gearing is 2.8:1 making a slower, more efficient motoring R.P.M. for the large right-handed propellor. 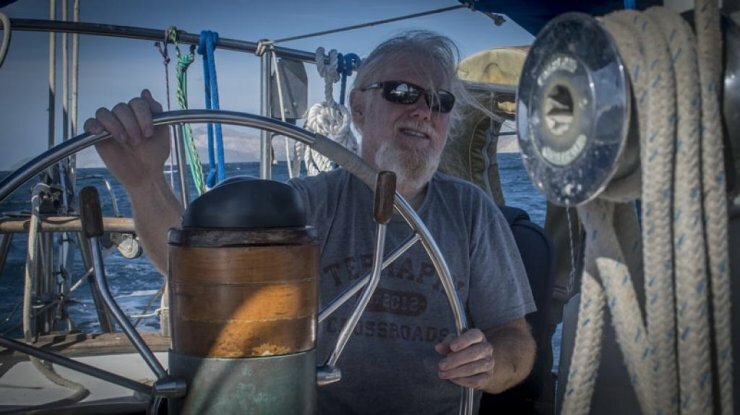 This combination makes the Shamaness an excellent upwind motor-sailing sailboat in the often steep chop found in the Sea of Cortez. 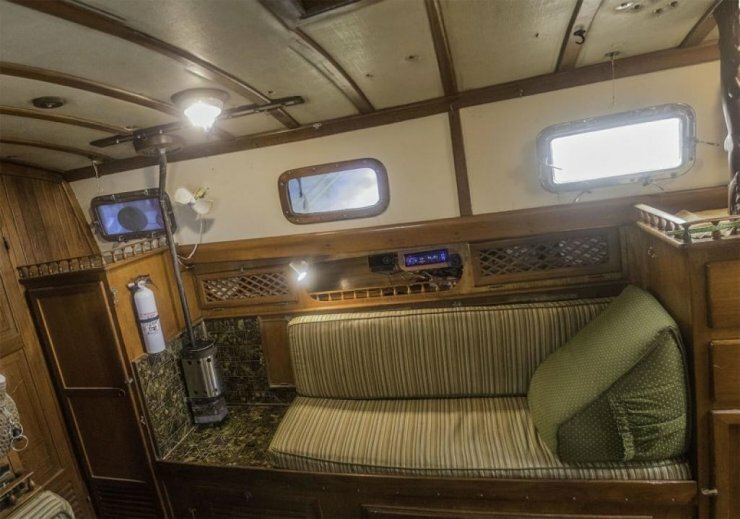 The Shamaness engine is equipped with a 110 amp alternator and smart voltage regulator (with installed back-up heavy duty solid state voltage regulator) and 40 amp (110 volt) smart battery charger with back-up 12 amp automotive battery charger powered by Honda 1000 portable generator if needed. Two solar panels (75 amp, 60 amp) keep the batteries (4 new six volt golf cart batteries and one new 12 volt starting battery) charged at anchor for several days provided the sun shines all day. Two fuel tanks (32 gal aluminum and 25 gal fiberglass) provide plenty of diesel tankage for long voyages. Two water tanks (original stainless steel hold 100 gallons of freshwater. Most interior lights,the anchor light and the masthead Tricolor light are LEDs. The head is electric (West Marine brand). 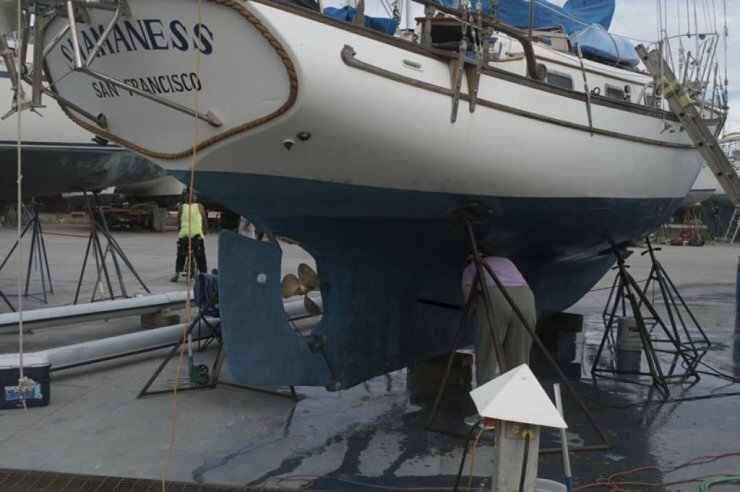 Two electric bilge pumps are installed on a convenient to service stainless steel tree lowered into the bilge...each independently wired and plumbed. There is also a manual (whale) bilge pump. 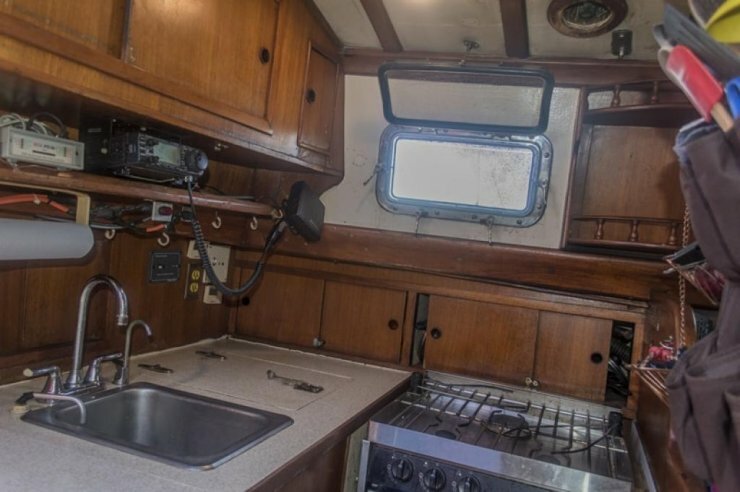 A Forespar stainless steel propane three burner stove with oven and broiler is installed in the galley. 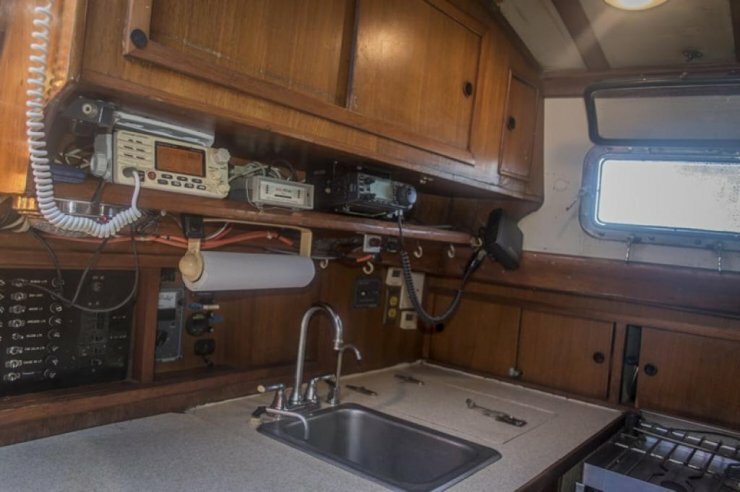 A Forespar propane cabin heater warms the sailboat in moderate cold weather. 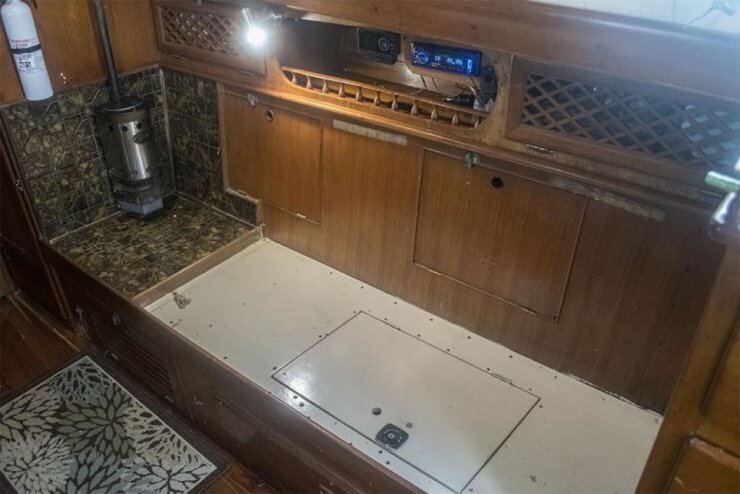 The water system is pressurized with an added foot pump in the gallery sink for dishwashing with seawater,Captain, Dennis Clifton.